First the King Street pipes burst. Then the ones in Goldhawk Road. Was there a causal link? 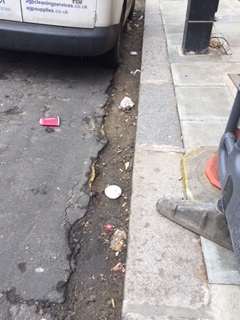 Further to the burst water mains in King Street – shortly followed by ones in Goldhawk Road – many have been asking about the cause. Some recall there being an investment to upgrade the system in recent years. The main roads were torn up, new pipes put in, signs announced that the Victorian mains were being replaced, to prevent leaks. What went wrong? A member of the Thames Water Local and Regional Government Liaison responds as follows? “Thank you for your email 7 April regarding the burst water mains on King Street and Goldhawk Road and the request for further information. I am very sorry for the delay in responding to your earlier request. We initially received reports of a leak in King Street on 26 January and attended to investigate the same day. On arrival we discovered a significant leak, which had caused the carriageway to lift as well as damage the footpath. It may be helpful to explain we have four different mains supply pipes in the immediate area from which the leak was showing. Our investigations confirmed the water was coming from one of the three 30 inch mains and plans were made to isolate and make safe the area, while the permanent repair was arranged. Unfortunately, before we could complete this work and pinpoint the leak, further reports were received of a new and major burst at the same location. Our teams worked extremely hard to replace the damaged section of pipework and repairs were successful. At the same time as the burst main on King Street, we received a report on 31 January of a major burst on Goldhawk Road. We investigated, identified the source of the leak and arranged a permanent repair which has been completed. We are carrying out tests on the damaged sections of pipe, which are now at our Innovation Centre, to help us better understand the cause of both incidents. This will allow us to determine why the leak happened and help prevent further incidents occurring. In respect of the water network in King Street and Goldhawk Road, these are trunk mains and were not included in our Victorian Mains Replacement Programme. However, at the beginning of January 2017, we did replace approximately 100 meters of distribution pipework on King Street by the Kings Mall Shopping Centre. To date, we have replaced almost 100km of our pipework, with our initial focus being on replacing sections of our network that were prone to leaks and bursts. Moving forward, we will be considering areas for further work, especially in areas where we have not yet completed a full Victorian Mains Replacement Programme. We have several monitoring devices in the area which are designed to record pressure levels. We have asked our contractor to carry out a review of these devices and confirm if it would be possible to adjust them. If it is, we will then use the data to receive earlier indications of changes or issues within our network. Unfortunately, there are no monitors in place on the pipework that was previously affected. Canvassing in the local elections has confirmed the strong opposition of Hammersmith residents to the flawed scheme from Transport for London for a “Cycle Superhighway” along Hammersmith Road, King Street and Chiswick High Road. At a cost of £70 million. The Labour Party must have spotted have also spotted that it is unwanted. Yet the Labour-run Council still want say whether or not they will allow it to go ahead. Suspicion is growing that they will allow it to proceed – thus avoiding dispute with the Mayor of London. But they have decided not to come clean with residents about their plans and will only announce them after the elections. “At the Full Council meeting on 18th October 2017 the Council carried forward the special motion that would enable residents to continue to send the council comments until January 2018. It was also carried that the Council will continue consulting during the design process, including resident and stakeholder advisory groups to look at the detailed design. The council is still receiving and accepting comments from residents and stakeholders, and these comments will be published alongside the TfL Consultation Outcome report at a future Cabinet meeting, the date of which will be determined by the receipt of the full TfL consultation report. In applying this Section 22 exemption, we have had to balance the public interest in withholding the information against the interest in favour of disclosure. To disclose the information requested regarding responses sent to the Council about the CS9 proposal would promote transparency and accountability in relation to information held by the Council. information before the proposed date. We consider it would not be in the public interest to prematurely disclose information if to do so may mean it is read out of the context of the overall disclosure. To disclose the information while the Council is still accepting comments from residents and stakeholders and before all responses have been evaluated could lead to information being disclosed to the world at large which could give an inaccurate or distorted picture of overall resident and stakeholder views on the issue. It is also fair to all concerned parties to release information to all concerned on the same date, so that, for example, no unfair advantage is gained by any party, in attempts to influence the consultation outcomes. The truth is that admitting the extent of opposition would be embarrassing for Labour – until the elections are safely out of the way. That is because they intend to ignore it. A pretty arrogant and disingenuous way to behave. Labour can dodge and dive but the the council elections provide a choice. If you want this TfL scheme to go ahead then vote Labour. If you oppose the plans – and would prefer the £70 million spent on more sensible cycling schemes – then vote Conservative. Can I make a few points about the CS9 debate? It has been very disheartening to see how quickly positions became entrenched. I won’t lob any more data into the discussion because I suspect that won’t move the dial but I do think some context is helpful. I first became a cycle commuter in 1994, out of boredom rather than any environmental motive. I now live near Olympia and bike daily to Mayfair. It is just so convenient. I don’t bother with a helmet, I own no Lycra and leave any pious attitude behind when in the saddle. But it wasn’t always like that. Early doors, I biked as fast as I could and frequently held motorists to an impossible standard of conduct even at the expense of my own danger. But then I realised that queuing for the work place shower ate up any time savings and that might really was right when arguing with the traffic. A legalistic approach to riding a bike is a literal dead end. A cyclist’s momentum is valuable so, yes, I have ridden through a red light when no one’s around (that one at the north end of Queensgate, if it is pedestrian-free) and might sneak a left turn on red if the traffic is snarled. Cyclists can also hop off and instantly become pedestrians so, yes, I have recently cycled on a pavement. My bad. So, I ain’t no saint but a bike is so nimble and so flexible that there is no more point approaching cyclists and cycling with a rule book on your lap than there is complaining about jay-walking pedestrians (who themselves can turn on a six pence). There is even less point saying that, as some have, cyclists should not “undertake” stationary traffic as they filter to the front: bikers are gonna bike just like pebbles will tumble through boulders. One feature of the debate is a false categorisation. Cyclists own cars, car drivers cycle, pedestrians also drive, bus passengers also walk. It is just folk moving about the city, there’s no homogenous block of people. I drive, renting since I sold my diesel VW, and take Uber and Black Cabs. Another feature if the debate is just plain nimbyism. People don’t mind change provided it is experienced by others and not by themselves. We want less pollution but are unwilling to sell our cars. Before moving to Olympia we lived in Chelsea and I was active in the debate about whether there should a Crossrail2 station on the King’s Road. My neighbours thought a billion quid might be better spent elsewhere lest the wrong sort of person came to the area. I was on the side of progress. And I remain so with regard to CS9. Of course, change can be temporarily disruptive; might car journeys take a minute longer? Big deal. But might there be fewer cars and less pollution if more folk cycle? But might our kids be more independent and healthier if we let them bike to school? Could our streets be more pleasant and humane if we reweighted the balance between their different users? What has been the experience elsewhere in London? 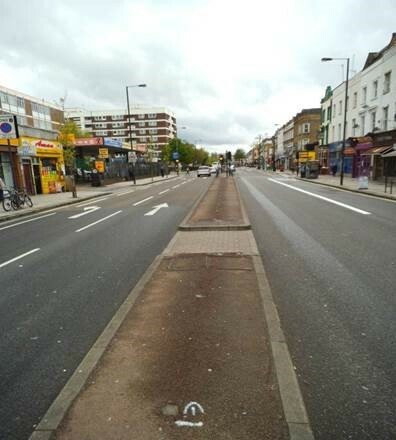 A bike provision was installed on Green Lanes in north London, my original manor. Like Chiswick High Road and Olympia, councillors’ post bags were deeply negative. Residents hated the idea, retailers loathed it. But installed it was and the naysayers not only piped down post construction but actually like it. Now, my esteemed ward councillor advises that the N21 scheme is “very different” to the proposed CS9. To which I politely shrug, because it is clear that being against CS9 “in its current form” actually means opposing it in any form. For Tories like me, this is a mistake. We should be leading our post bags on this and making the case for more balanced road use and more humane and workable streets. The N21 scheme might differ from proposed CS9 which, in any case, will be improved through the consultation period as any flaws become evident. But bike lanes, like CS9, will be better for our health, better for communities and, as N21 retailers will attest, better for business. “More pedestrian barriers could be stripped away from roadsides after a study found railings can actually increase accidents by lulling pedestrians into a false sense of security. Researchers said the number of pedestrians killed and seriously injured was cut by 56 per cent in areas where roadside railings were ripped out. It was argued that motorists slowed down and were more vigilant on roads without barriers. Drivers were less likely to drive with “tunnel vision” where there was a heightened risk of pedestrians stepping out into the road, it emerged. The conclusions come after councils across the country started removing barriers used to separate streets from pavements a decade ago. They have been taken out to declutter high streets, create more pedestrian space and prevent cyclists being crushed against them by turning lorries. It has prompted concerns over safety in some areas, with fears that pedestrians can easily step into the path of oncoming cars. However, new analysis by Transport for London (TfL) showed that ripping out barriers in the capital has improved levels of safety and led to fewer casualties. The study analysed 70 stretches of road and compared accident rates three years before and three years after railings were removed. It found that only 19 serious injuries or deaths were recorded at the sites involving pedestrians, compared with 43 before barriers were removed – a drop of 56 per cent. 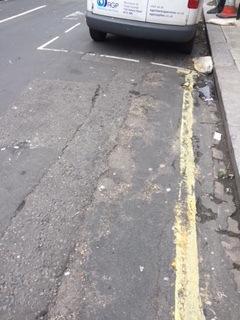 In the report, Sam Wright, a TfL engineer responsible for the railings removal programme, wrote: “Railings can sometimes give drivers ‘tunnel vision’ and a feeling that pedestrians are safely tucked behind them. 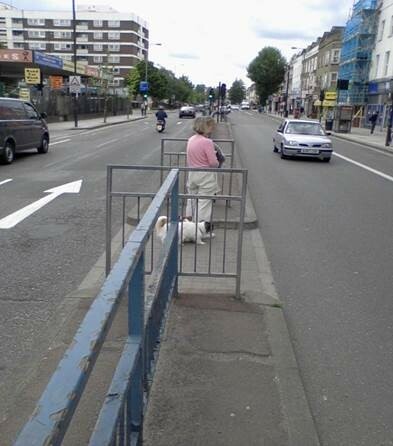 “Without the railings people tend to cross in more locations on an ‘ad hoc’ basis. Rather than this being more dangerous, the feeling that pedestrians could step out from anywhere appears to make drivers slow down and pay more care and attention. “I attach for your information the report referred to in The Times. We have been removing guard railing for some years now, with about 1.6 km of guard railing removed since we started keeping records of decluttering in 2010. Over a year ago I wrote about the shocking state of Bassein Park Road. After much lobbying they agreed to do so. But quite astonishingly have changed their mind – on the grounds that it is unnecessary. 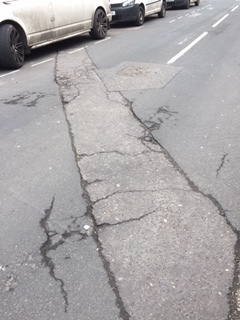 “As you will know the Council agreed to resurface the pavement and road in Bassein Park Road. The replacement of the pavement is proceeding which is appreciated. However I am dismayed that resurfacing the road has been delayed. Several residents have contacted me to register their objections to this extraordinary decision. 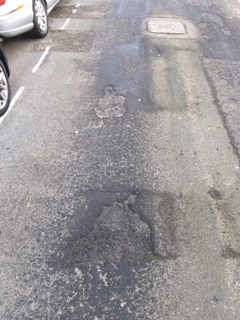 As you can see from the attached photographs (I can send many more) the road is in a shocking state. When was the road last resurfaced? I am told it was over 20 years ago. Signs have been put up at the two ends of Wendell Road that that street is to be resurfaced on 15-16 March. Yet the surface appears to be in better condition than the one in Bassein Park Road. 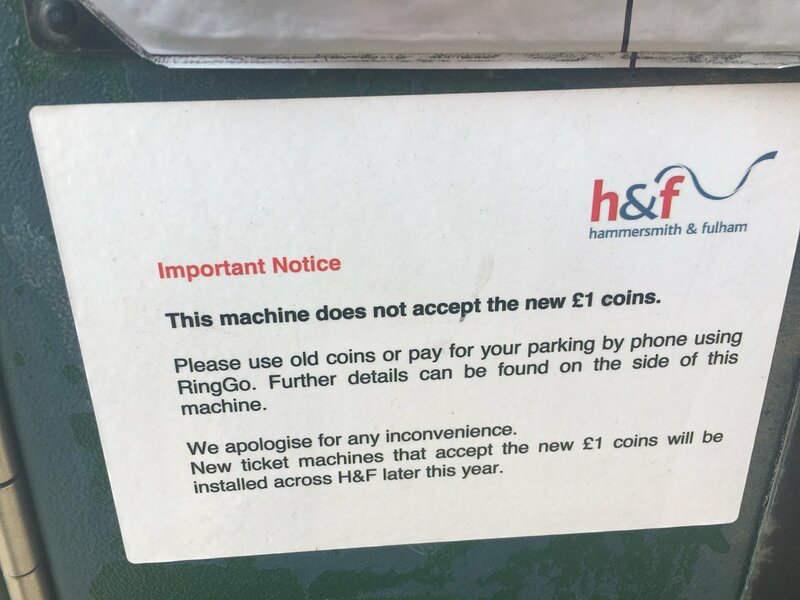 Many residents and visitors to the Borough have been exasperated by the failure of Hammersmith and Fulham Council to adapt the Pay and Display Machines for parking to take the new one pound coin. Last October I wrote about how the machines would not take the new coin – even when the old one had ceased to be legal tender. Months later and the situation remains a mess. Many machines and vandalised and don’t work at all. Many others still only accept the old pound coin. 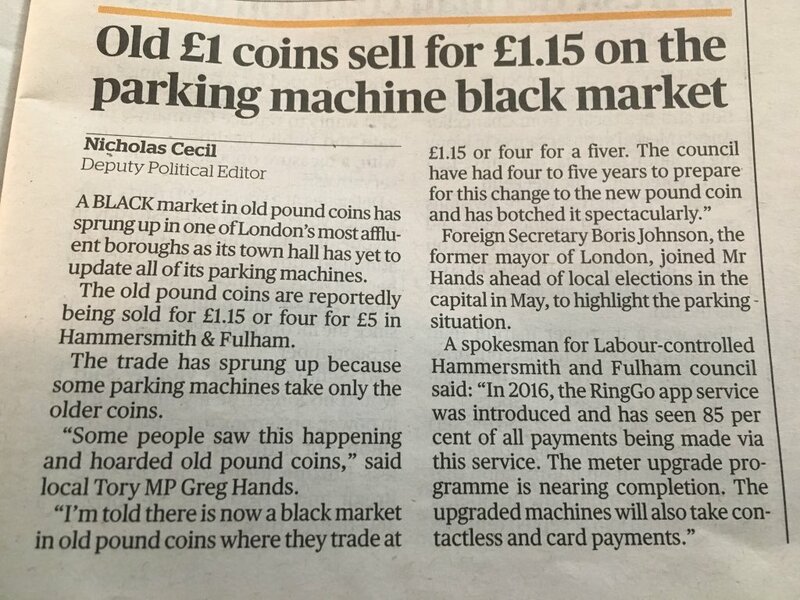 For traditionalists who wish to pay to park their car using cash the situation is about to get much worse. Over the next six weeks all the 1,100 old machines (some working, some broken) will be removed. That will leave the 400 new machines – only around 20 per cent of which take cash. The Council point out that most people now use the RingGo system when parking. They can do this with their mobile phone and so don’t need to visit any of these machines. It is also noted that for many who do use the machines being able to pay with credit or debit card will be a great convenience. There is also a change to the visitor parking arrangements to fit in RingGo. The Smart Visitor Permit is being replaced with a resident’s visitor permit. It means that if you want to pay for the parking of someone visiting you then you type in their car licence number into your computer or phone and pay for the time in advance. They don’t have to have a document on their dashboard. But if you pay for longer than they need you don’t get any money back. Ravenscourt Park Ward is largely covered by Parking Zones I, L and M. The map with the locations for the machines being removed and the new ones for Zone I is here, Zone L is here and Zone M is here. You might also be interested in Zone A or Zone K.
None of them will take cash. all of them are card only. Of those only the one in Ravenscourt Road will take cash. Of those only the one in Ravenscourt Park will take cash. A welcome reduction in clutter? An enhanced opportunity to plant street trees? Of course I can understand why the Council hates having metal boxes with coins sitting in them on the streets. On the other hand there will be a considerable struggle for those who are used to parking in and around those streets and using the machines which are about to vanish. Those not willing or able to open RingGo accounts will find parking harder. So whether the changes are welcome or not rather depends on your point of view. what about the elderly? They are often both the most resistant to new fangled technological wheezes and those with greatest difficulty trudging around trying to find a machine that will take their money. I think that on balance the changes are justified but that the number of machines that will take cash will be too few and far between. At any rate there should have been greater sensitivity at bringing in these quite significant changes and communicating to residents what is happening. I have done my best to understand it and to explain it. Yet I expect there will be quite a few befuddled motorists standing on pavements in the coming weeks baffled as to what is happening. Traffic in Hammersmith is a struggle at the best of times. But the recent flooding has caused exasperated motorists to complain of gridlock. The work is taking much longer than was initially indicated. As you are aware King Street suffered a major 30 inch water main burst which caused significant damage to the public highway as well as the Thames Water (TWU) assets. The water main has since been repaired, however Thames Water are required to charge the main back to full capacity to ensure there are no further issues. Whilst TWU were completing this operation their contractor was not allowed to work near the site until TWU gave permission to do so. The main has now been fully charged and TWU gave the go ahead to complete repairs to the highway yesterday morning. 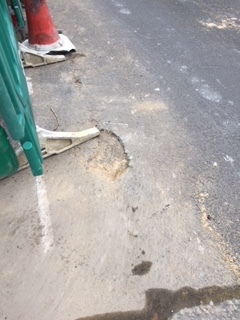 The full repair to the carriageway and footway will take some time to complete given the extent of damage caused by the burst. Thames will initially complete the repairs to the immediate area of the burst so as to allow west bound traffic on King Street by Friday evening, before Hammersmith Bridge closes on Saturday. TWU have estimated the road will be fully reopened to traffic by Wednesday 14 February. Once Hammersmith Bridge has been re-opened TWU will then reattend site to complete the reinstatement of the remaining area of the repairs which will be completed under a road closure. This also suffered a major 30 inch burst, however the damage was even more significant than King Street and will take a little longer to complete due to the damage and voids found under the highway after investigation. I have also asked Thames Water to comment. We are installing a Sahara chamber in King Street, which will help us to monitor our network more effectively. This work is over and above the reinstatement work required but will build further resilience into the network, hence taking a bit longer; we started installing this yesterday. However, we are sensitive to the fact that Hammersmith Bridge will be closed from this Saturday and therefore we are now planning to complete the essential reinstatement on the westbound carriageway by COP tomorrow so that we can re-open that side of the road ahead of the closure of the bridge. This will ease traffic in the area and alleviate the disruption that would be caused if both the bridge and road were closed at the same time. In the meantime we will continue reinstatement works on the eastbound carriageway, which we anticipate will be complete by COP on Wednesday 14th February. The council has also requested additional repair works which consist of resurfacing of another 350m of the road. I understand that we are currently discussing this part of the reinstatement request with the council to reach agreement. If this work goes ahead, it will happen after 18th February once the bridge has been re-opened.